Current generation is very much passionate related to sports OR athletics. People are always curious to know about their favourite team and team players. Sports become the second only religious for them. Moreover, mobility solution has engaged common people with their favourite game and stars. It becomes possible due to the Sports application development company. How we jumped into the Sports application development? Concetto Labs is one of the best web and mobile application Development Company in India. Until now, we have developed multiple applications in variety of domains. 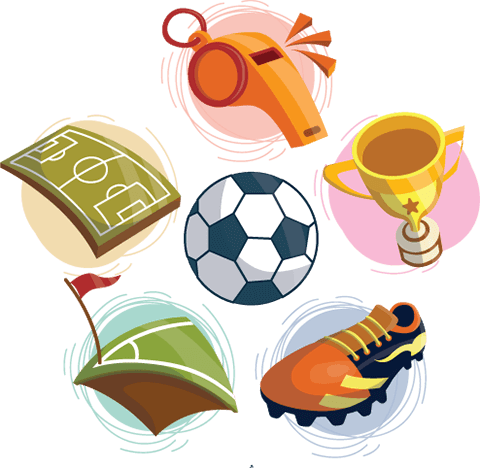 By creating those applications, we found that sport is one of the best domains to create an app with. Sports have connected many people with digital technology. People like to play games on their phone and tablets. They love to watch their favourite game via smart devices. This shows the importance of sports mobile app development in the life of human being. We at Concetto labs have the team of developers with creative mindset. They are capable for delivering challenging development solution to our clients. Previously, we have worked on few sports applications which you can see in our portfolio. Here, you can see how we deliver our quality work to our clients. How our top line services help you in making a goal! We create sport mobile application with the advanced technical features that can attract more customer towards your application. Here, we have listed down couple of our sports mobile app development services. We create an application which will provide the live score updates to user. For attending any sports event, we provide online ticket booking system. With the high quality functionality, you can see the high resolution pictures. At the every single moment you can listen live commentary from the sport event. While you close the application, you see the notification on your mobile screen and stay updated. With every short of action of the player, score board will be updated. Without the delay of a single second, you enjoy live sport. Why we are reliable as a coach in your mobile app development for sports? We create our application with the advance technology that covers the latest information. Since last few months we have included us in top rates sports app development company. To meet your business aspiration, our experts provide the top quality solution. How we achieve more home-runs through our excellent services in compare with our competitors? Before start working on the application, we sign NDA agreement to maintain the security of our client's identity and data. We never delay the project delivery. We handover the project before the deadline. With the Native app development, we can create your application on both the platform (Android & iOS) differently. Our developers are able to create your application on both the platform via single code.